Last year for National Dairy Month the Libraries featured a cream separator trade literature catalog from the De Laval Company. 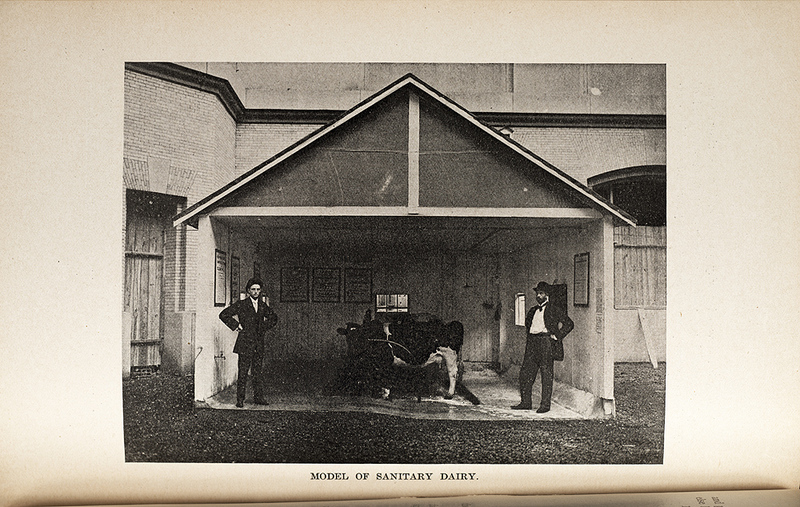 This year we feature a report on sanitary dairy conditions, originally presented at the 23rd annual meeting of the National Fraternal Congress, in Boston, Massachusetts on Aug. 16, 1909. "Printed for circulation among the Camp Physicians of the Woodmen of the World"
The Libraries catalog also notes that this report was part of the International Congress on Tuberculosis in 1908 in Washington, D.C.